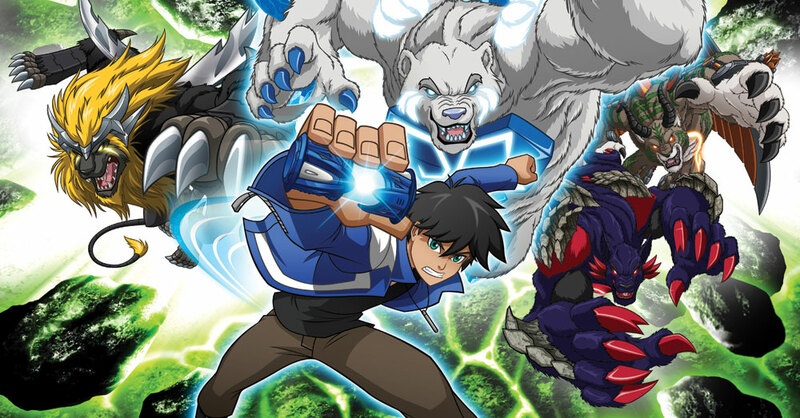 Are Asian television companies finding new ways to reboot the animated boys’ action genre? Jesse Whittock reports on the latest shows and why international coproductions are leading the way. Comic book superheroes have created much of the global narrative around animated boys action programming in the past few years, especially since The Walt Disney Company acquired Marvel Entertainment and its Marvel Universe characters and Warner Bros. bought DC Entertainment, bringing Batman and Superman into its fold. However, superheroes are largely a Western phenomena. In Asia, anime-style animated boys action programming has dominated children’s TV viewing habits for decades, as Yuichi Kinoshita from Japan-based Dentsu Inc.’s animation business department notes. “Asian broadcasters usually air three to five new episodes [of the genre] every week, so they are always looking for new programmes. Boys action is one of the most in-demand genres among Asian kids and broadcasters are very aggressive in acquiring more and more programmes,” he says. The genre is often a major feature on Indian and Korean platforms, but Japan still has the most vibrant and productive anime sector. Historically the country has been a relatively closed shop for international coproduction, but this is changing as more and more companies partner with Western coproducers and distributors on projects that can be exploited overseas first. Dentsu, ostensibly a Japanese marketing and PR firm, used its Dentsu Entertainment USA production arm to coproduce Monsuno (above, featured) with Jakks Pacific, FremantleMedia and The Topps Company. The show launched on Nicktoons in the US in February last year and on TV Tokyo eight months later. It is now rolling out internationally via global Nickelodeon channels. FremantleMedia International’s kids unit is looking after distribution. 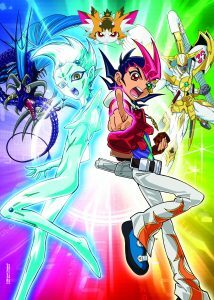 Monsuno isn’t the only series with a classic anime look that’s launched on US before Japanese TV in recent times. 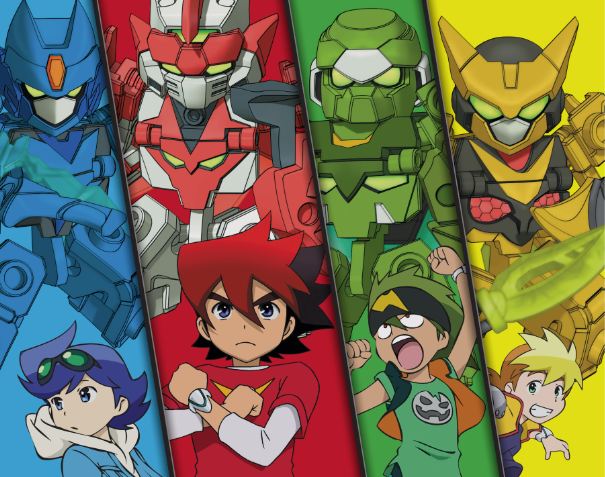 Tenkai Knights (above) debuted on Cartoon Network in August as a coproduction between Tokyo-based studio Shogakukan-Shueisha Productions (ShoPro) and Canada-based toy and TV production house Spin Master Entertainment. Fujita says an air date of April 2014 has been penciled in for the show’s Japanese broadcasting debut and adds that the series represents something unsual and exciting for Western audiences. “In the US market superheroes from American comics are often developed into animation for young boys, but Japanese animation is often based on manga and games with very rich and deep stories focusing on teamwork and friendship. However, Fujita points out that there are fundamental differences in the material impact of boys action programming in Japan and the US. 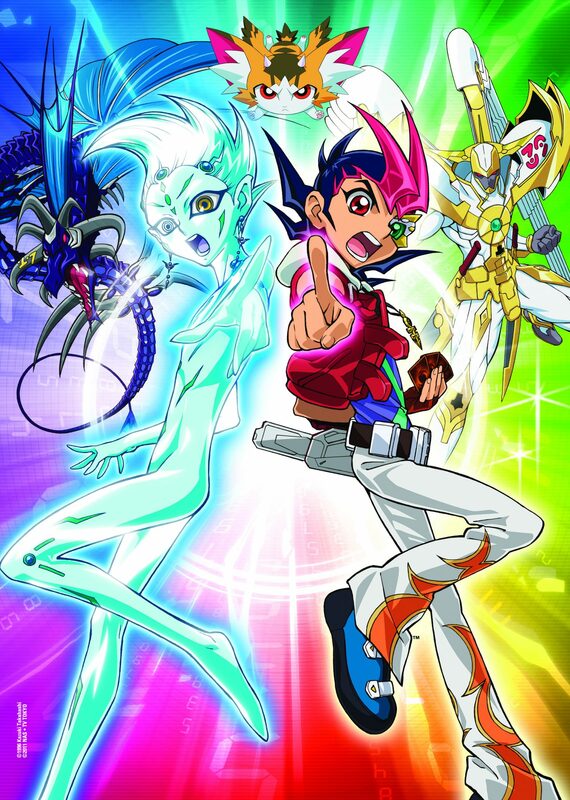 Though anime-style content has been appreciated by Stateside audiences since the late 1990s and early 2000s when shows including Pokemon, Yu-Gi-Oh!, Digimon and Dragon Ball Z began broadcasting, “the US does not connect with all boys action programming like here in Japan”, he warns. Many Asian brands are based on toy properties, which are interwoven into programming as a matter of course, Dentsu’s Harrington says. This is something US and European counterparts can find jarring and “too commercial in nature”. “Sometimes these things don’t necessarily translate from the Japanese market to the US market seamlessly – something that has succeeded tremendously in Japan could fail in the US and vice versa,” confirms Brian Casentini, senior VP, development and production at US-based Saban Brands. In September 2012, Saban acquired the Digimon franchise (having first bought the property through Haim Saban’s Fox Family Worldwide company in 1999) and has launched a new season of the digital monster-themed actioner, titled Digimon Fusion. This has launched on Nickelodeon in the US on cable and on The CW broadcast net through the Saban-controlled Vortexx Saturday morning anime programming block. Casentini says the broadcast and cable exposure, added to a strong toy sales proposal and characters that act as “good entry points for kids”, give the franchise an excellent business and creative opportunity. “Bottom line, we thought it was about time Pokemon had some competition in this specific segment of anime,” he adds. While seasoned execs have long looked at Japan as a source of creative prospects and IP, Casentini points to the territory’s neighbouring giant China an emerging well of opportunity, in contrast with its reputation as too parochial in its storytelling. The company has been on a media offensive in the past few months, launching a slate of projects at international toon events. 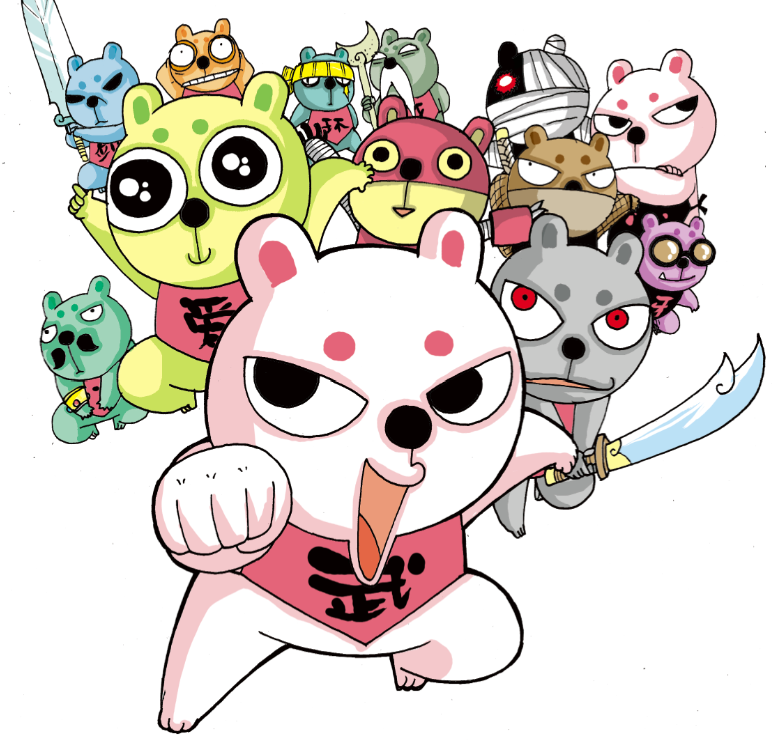 Among these are boys action series Beijing Opera Cats and Rabbit Gang (below). Beijing Opera Cats is a 40x22mins 2D Flash coproduction with Dazzling Star Productions about a group of singing cats that moonlight as defenders of good versus evil, while the 52x11mins action comedy Rabbit Gang is a visually interesting property that Disney channels in China and Taiwan have acquired. “Rabbit Gang is based on a local best-selling manga series of the same title. It follows the heroic and fantasy adventures of three rabbits trying to resolve an energy crisis in a Chinese village,” says Chao, adding that Disney’s acquisition last year “showed that there’s a demand for boy-skewed animation and an interest in Chinese content”. At MIPCOM Junior a Beijing Opera Cats trailer received more than 80 viewings, a number that Chao says rose to nearly 500 by the end of October. “The responses to the designs and stories have been positive and we’re really pleased with it,” he adds. Despite the nod to China’s capital in its title and what Chao describes as a “distinctly Chinese look”, Japanese manga-influenced content looks set to remain the key driver of animated Asian boys action programming in the future. TBI: Where does Chakra fit in the spectrum of animated boys action programming? SD: The western superhero was really redefined in the Sixties by Stan and his creative partners and largely influenced by the Cold War ethos and the Atomic Age. Similarly, many Japanese comics and anime series were defined early on by ‘Man versus Nature’ themes – think Akira or Princess Mononoke. In the same way, we want to allow creators to tap into today’s culture, contemporary issues, hopes, dreams and fears. What makes Chakra so special is that it speaks to the great story of our generation in India and the world – globalisation. TBI: Tell us about the programme’s launch plan. SD: Chakra the Invincible will launch globally as one of a select few third-party [projects] selected be featured on the Angry Birds channel platform ToonsTV, making it available worldwide in numerous languages. Equally exciting for us, Chakra launched as an animated film on Cartoon Network at the end of November, reaching over 34 million television households in India. 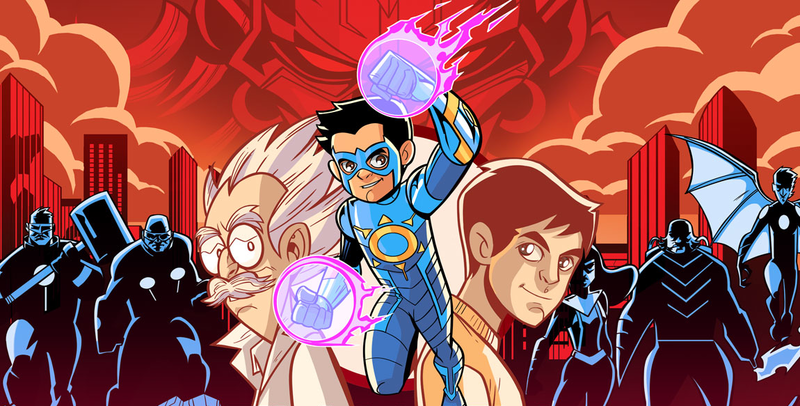 The partnerships with Turner and Rovio make Chakra the only original Indian kids character property to reach this level of exposure both inside and outside India. TBI: What was working with Stan Lee like? SD: Working on a superhero with Stan is like creating a painting with Da Vinci or a poem with Shakespeare – there is simply no way to put into words how unbelievably awesome an experience it has been. Stan has been responsible for some of the most iconic character brands and modern myths in the world today, and I bet more people can recognise the face of Spider-Man than that of the Mona Lisa. The story and character of Chakra were brought to life by Stan’s amazing mind and the brilliant artwork of a genius Indian artist, and our senior VP, creative, Jeevan J. Kang. TBI: Ex-News Corp. boss Peter Chernin bought into Graphic India through his Asian company CA Media. What does he bring to the table? SD: Graphic India is the culmination of a lifelong dream to really build characters, heroes and stories that tap into the unique creativity and culture of India but appeal to audiences worldwide in the same way characters like Spider-Man do. I incubated Graphic India at my other company, Liquid Comics, which I founded with my partners, Gotham Chopra and Suresh Seetharaman. We separated Graphic into a standalone business and fortunately partnered with The Chernin Group’s Asian investment arm, CA Media, which shares our vision for the opportunity India offers in the character entertainment space. Simply put, Peter Chernin is a personal inspiration, as there are very few executives who so seamlessly understand both the creative and business sides. TBI: How will you ensure your projects reach international markets? SD: The team at CA Media, which is led by former Star TV CEO Paul Aiello and former Colors CEO Rajesh Kamat, bring an unparalleled level of experience in entertainment in Asia. On an international level, as we help to take Indian character entertainment to the world, The Chernin Group is an incredible partner to help us bring our content to North America, with deep media relationships across both digital media and traditional film and television. TBI: Is India becoming a hub for innovative boys action character development? SD: In the same way the West created superheroes and Japan created anime, India has the potential to become one of the biggest creative exporters in the years ahead and bring a new creative voice to the global stage. After all it wasn’t just Japanese kids who made Pokemon a success, it was every kid.